The Nature Place Campership Fund was created in 2017 to help provide assistance to families who strongly believe in our camp philosophy and mission, but who cannot afford to sent their child/ren to camp. Each summer we try to help these families come to camp through funds raised throughout the year. 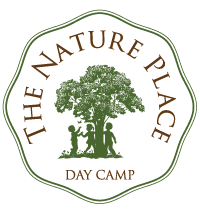 Please note campership funds are only available for The Nature Place Day Camp (July 1 – August 9), not our Additional Offerings (August 12 – 16). The funds for our campership program come from The Nature Place, as well as current and former camp families, staff and alumni who have felt compelled to share the magic they found at camp with others. If you would like to make a donation of any amount, you can do so here. With our current funding, the maximum amount of aid possible is about 25% off of tuition. If this might make camp financially feasible for your family, please proceed with an application. Applications will be accepted for the 2019 camp season through May 15th, 2019.